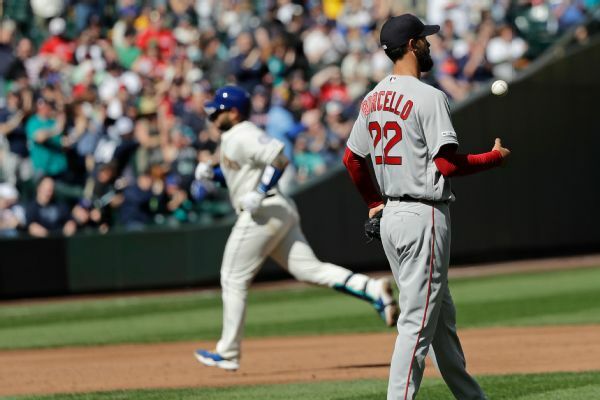 Boston Red Sox pitchers are enduring one of the worst starts for a staff in recent memory. Hundreds of arms stretched into the sky in the hometown of Red Sox manager Alex Cora on Saturday, as fans took pictures and video of the first man from Puerto Rico to lead a team to a World Series championship. 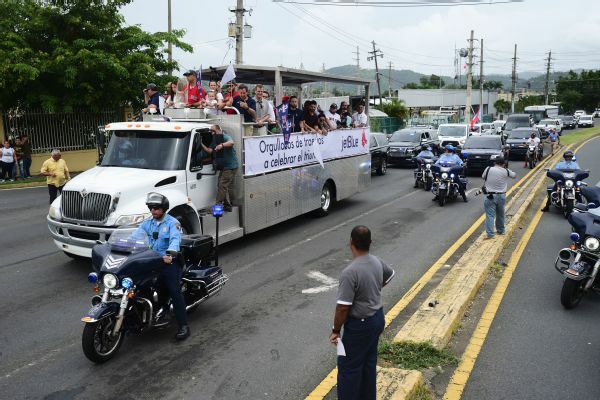 Alex Cora is the first Puerto Rican manager to lead his team to a World Series championship, and Saturday he will bring the trophy to his hometown of Caguas. The Boston Red Sox will turn to left-hander Eduardo Rodriguez to start Game 4 of the World Series on Saturday. The Dodgers are loaded with talent and eager to avenge their 2017 World Series loss. 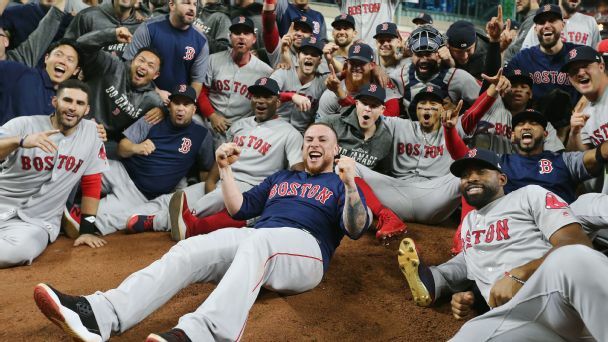 But this Red Sox team? Well, it's truly something special. While the Red Sox posted a franchise-record 108 wins, their bullpen struggled in September. 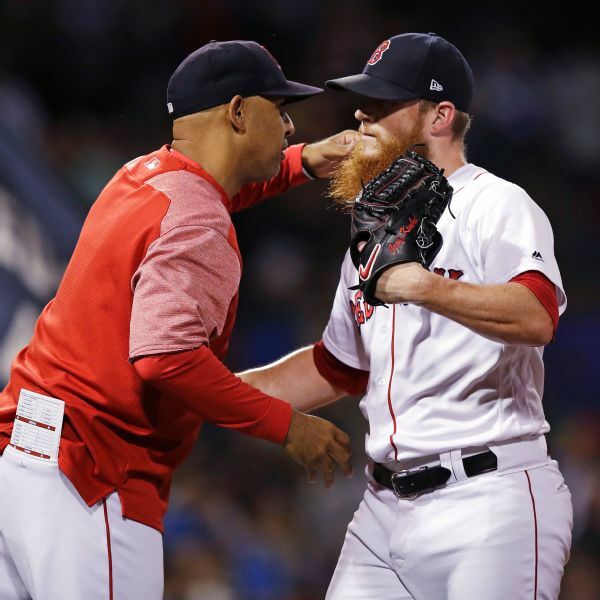 However, Boston manager Alex Cora said Wednesday he remains confident in the unit entering the playoffs. 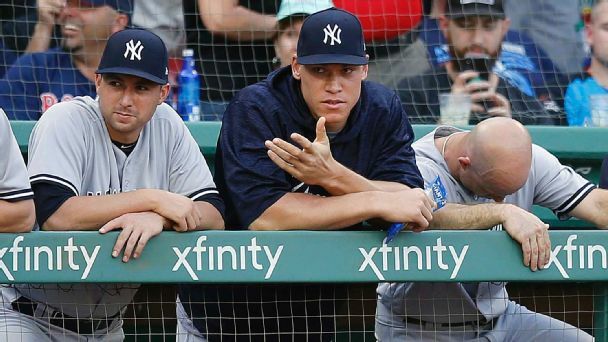 Aaron Judge says the goal is to beat Boston. It's not impossible, but resting up for the wild-card game and (hopefully) beyond could be wiser. Red Sox pitcher Eduardo Rodriguez was placed on the disabled list on Sunday with a right ankle sprain. 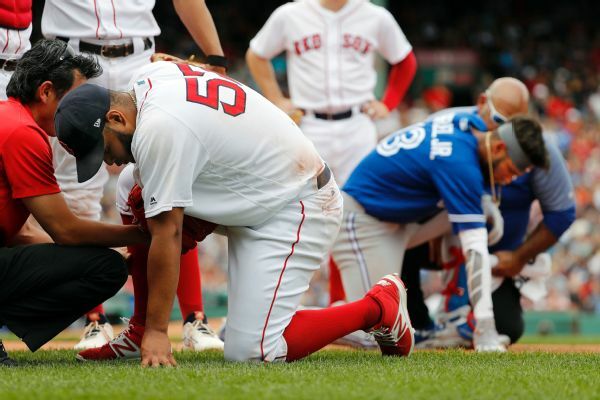 Red Sox pitcher Eduardo Rodriguez left Saturday's game against Toronto after suffering a sprained right ankle injury while making a play at first base. So what if it's May? 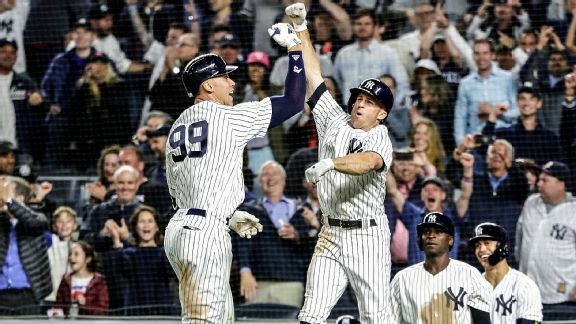 It sure feels like fall as the surging Bombers look to bring out the brooms for Boston at a raucous Yankee Stadium.